Yes, I don't want a boyfriend. In fact, I don't want any sort of relationship. Anyone who knows me is probably laughing right about now and saying, "Uh, Clareesa, you're the last person who'd say that and mean it." But it's true. Let me me explain. I have observed many guys 'liking' girls. And those girls were usually very good looking & 'fun', but they are also loud, flirtatious and all around not godly women. And the fact that these are the type of girls guys are finding attractive, makes me respect those guys a little less. I highly respect any guy who is attracted to a truly godly women. A women who doesn't have to act like a wild crazy girl to get attention. A women who doesn't have to have the perfect body. 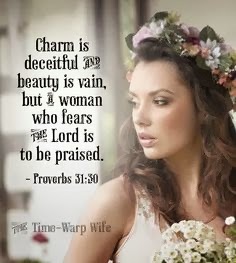 A women who when you look at her, you see Christ. Then I realized that I am not the type of women that I would want a godly man to be attracted to. I have a ton of growing to do. Relationships are serious to me. I don't intend to get into a relationship until there is a guy who is looking toward very intentionally pursuing me and ultimately looking towards marriage. But I want that man to be godly, pure and most of all...attracted to the qualities a godly wife should have. I'm not ready to be a wife yet. In fact, I won't be "ready" probably ever. It's a continual growing process. So am I saying that I never want a boyfriend because I never feel like I'll be 'the godly women I would want a godly man to be attracted to'? Not in the least. If it were God's will and a man chose to pursue a relationship with me right now, I'd be ecstatic. BUT, it is not my job to just sit and wonder who that man is. It's not my job to want a boyfriend. It's my job to strive to be a godly women who is seeking Christ in everything. To guard my heart and if someday the Lord blesses me with a husband, to have the wonderful privilege of giving it to him. To serve as a single person wherever God calls me to serve. To shine the light of Christ wherever I go. To NOT sit around waiting. Not wishing. Not 'chasing boys'. To be the type of women I would want a godly man to find attractive. I want to be that women who is so lost in Christ, that any man would have to first seek Christ in order to find me. That is so very good, and that is what I am striving to be. We need to realize that God will bring along the right man, in the right way, at the right time. That is..His way and His time! We have no right going out and trying to attract one. I always wonder how God must feel when He sees that happening. I love the boldness you are showing here! I haven't blogged on this subject yet but I know I will need to bring it up soon. Thanks for standing for the truth! I love this:) I agree 100%! A lot of girl also rush into relationships too quickly and dont take them seriously and they ultimately end up getting hurt. although I am sooooo guilty of secretly wanting a boyfriend, I think Im more in love with the idea verses the reality. if that makes any sense. anyways, I just stumbled across your blog and read a few posts and I love it! You are a lovely girl with a lovely blog. thank you for gracing us with your wisdom. 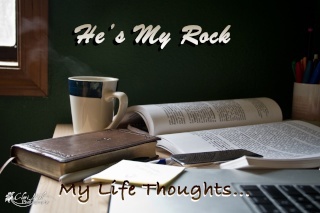 it is apparent that God is with you and His light shines through your writing. This is so excellent! Thank you:) I'm in a tiny town in Honduras having the time of my life with these beautiful kids and learning their language. I am 27, otherwise live at home and I am blessed. People comment on the old maid and picky, but God controls our lives and while I have opportunity I only want to serve Him more and grow more like Him! Ame to your post!